After you reach age 25, your skin will start to show visible signs of aging including the appearance of fine lines and wrinkles, the loss of skin volume leading to the development of creases and loss of elasticity resulting in sagging skin. In addition to the weakening and loss of connective tissue, aging skin is also susceptible to uneven tone. 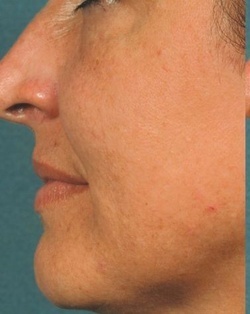 Dark areas called lentigo as well as freckles can develop on your sun exposed areas like your face, hands and décolleté. Since your skin is a reflection of your internal health, any unhealthy lifestyle practices that you engage in will accelerate the aging of your body and your skin. Harmful and inappropriate topically applied skin products that are harsh, irritating or otherwise damaging.